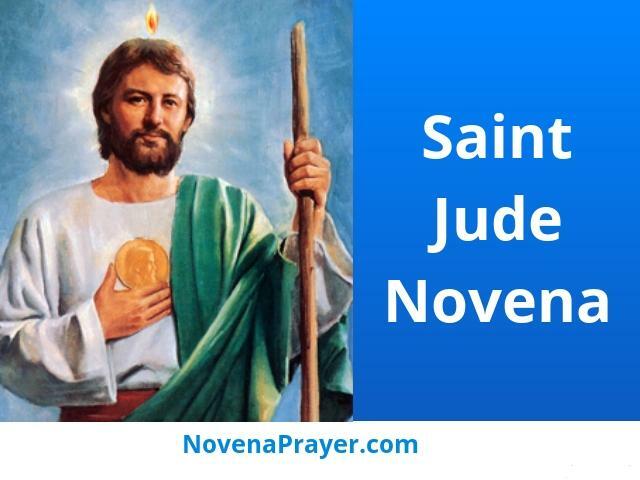 Pray these novena prayers to Saint Jude with confidence. Catholics have relied on his intercession in times of extreme need for centuries. Pray this novena for your intentions asking St. Jude to intercede to God the Father, His Son Jesus Christ and the Holy Spirit on your behalf. Saint Jude, rather, followed Jesus faithfully until His crucifixion, and then later worked on evangelization. Very little is known about his life, but we do know that he died as a martyr — some say around 65AD, giving his life to Jesus Christ. He is now one of the most invoked saints for intercession in desperate situations because his New Testament letter stressed the importance of a faithful person persevering in the environment of harsh circumstances.